The VS-30 Orion is a Brazilian sounding rocket. It consists of a VS-30 rocket as first stage combined with an US supplied Orion second stage, which is a retired Hawk SAM motor. 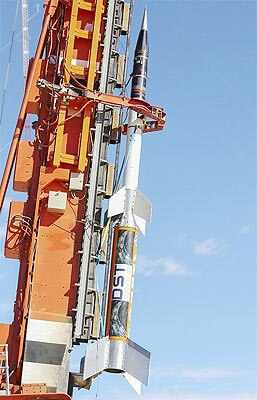 The unguided spin-stabilized rocket weights 1800 kg at lift off and has a length of about 7 m (depending on payload shroud). The first stage has an diameter of 0.56 m. It can put a small payload on a suborbital trajectory of up to 320 km. The rocket has been used from a number of launch sites: Alcantara in Brazil and Andøya, Esrange and Svalbard in northern Europe.